Written by one of the most revered surfers of his generation, Gerry Lopez's Surf Is Where You Find It is a collection of stories about a lifetime of surfing. But more than that, it is a collection of stories about the lessons learned from surfing. 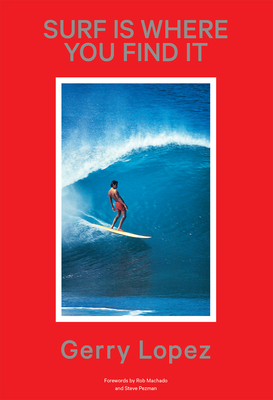 It presents 38 stories about those who have been influential in the sport -- surfing anytime, anywhere, and in any way. Lopez, an innovator in stand-up-paddle (one of the fastest growing water sports in the world), now shares his stories about pioneering that sport. Conveyed in Gerry's unique voice, augmented with photos from his personal collection, this book is a classic for surf enthusiasts everywhere.